You expect more and you deserve more than the rental shop can offer, so get yourself some Head Absolut Joy Skis. They're a female-focused design, built with HEAD's LIBRA design philosophy influencing every decision. So you get technologies like AllRide Rocker, with an early-rise nose tuned for the way women ski. And that's just part of the ERA 3.0 technologies, which also modify the ski's shape and flex patterns to give you a smooth ride, even while allowing you to hone your skills anywhere on the mountain. 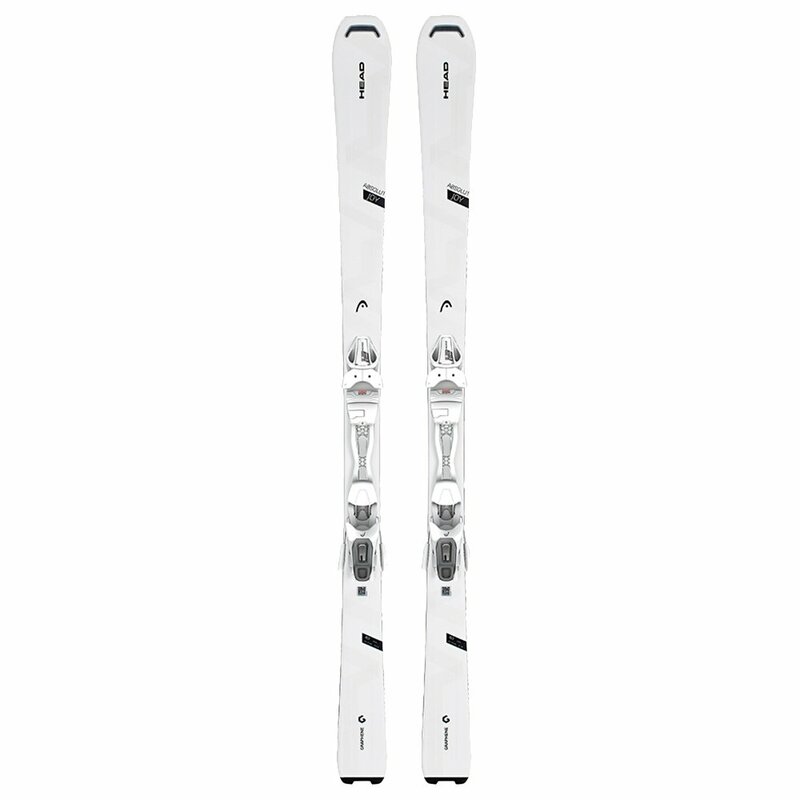 Best of all, the Absolut Joy Skis also come with Head Joy 9 GW Bindings.